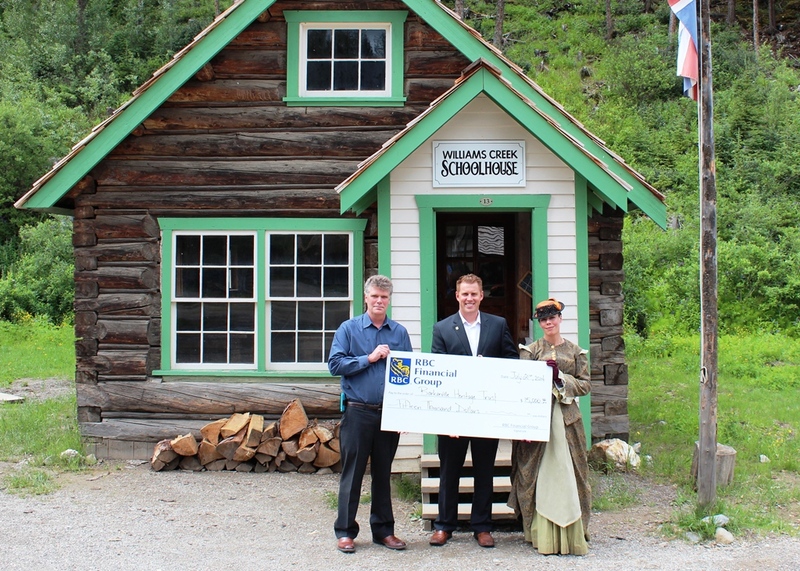 A charitable donation by the RBC Foundation towards Barkerville’s Educational Programming: K-12 School Students benefitted Barkerville’s award-winning, curriculum-based interpretive School Program in 2014, and helped to provide exceptional interactive history lessons for students throughout British Columbia this past May and June. Barkerville used the RBC Foundation funds to help facilitate a comprehensive program schedule for students of all ages participating in the 2014 Barkerville School Program, as well as purchase materials and supplies required for the implementation of fully-immersive, educational experiences. The RBC Foundation is a major supporter of communities across Canada, and believes in the power of the individuals who live in them, as is reflected through RBC’s support of children and youth, sports organizations, emerging artists, diversity and inclusion- all of which help to foster stronger communities. This is the RBC Foundation’s third gift to Barkerville: they originally donated to Barkerville’s Educational Programming: K-12 School Students in both 2012 and 2013. The Barkerville School Program runs from mid-May to late-June of every year, and includes seven core elements: Early Justice, William’s Creek Schoolhouse, Chinese Schoolhouse, Chinatown Tour, Home Life, Blacksmithing, and Mining in the Cariboo. For more information about Barkerville’s School Program, please contact Judy Mooring at 1-888-994-3332, ext. 29, or email judy.mooring@barkerville.ca.